Summary: The Brigham Critical Care Board Review Course is designed to equip attendees for the Subspecialty Board Examination In Critical Care (Certification). This highly acclaimed home-study course presents state-of-the-art information on a broad spectrum of clicial problems that relect the curriculum in critical care medicine for the ABIM examination. Topics of pathophysiology, respiratory failure, and diagnosis and management of shock and respiratory failure will be addressed, along with a range of subspecialty areas; cardiac, renal, gastroenterology, hematologic, nutrition, obstetric, neurologic, infectious disease, endocrine, trauma/burns, and management of the ventilator, fluid, acid-base and electrolyte problems. This program offers an in-depth review for those preparing to take the vascular board examinations, as well as providing a basic didactic education for vascular residents in training. Comprehensive Review and Update of What's New in Vascular and Endovascular Surgery recognizes four major pillars of vascular surgery: conventional open operations, catheter-based intervention, the medical aspects of patient management, and diagnostic imaging and noninvasive testing. An internationally recognized faculty from the David Geffen School of Medicine at UCLA presents a survey of generally accepted views, including basic science, pathogenesis, diagnosis, and management of the broad spectrum of vascular disorders. Summary: Lectures are designed to enhance knowledge of disorders of the skeletal system with emphasis on the broad spectrum of benign and malignant neoplasms and select metabolic bone and joint diseases. A few topic points from these lectures include Notocordal Cell Tumors, Fibroblastic Tumors, and Vascular Tumors. Summary: The Comprehensive Review of Blood Banking was developed to offer knowledge concerning demands and responsibilities of pathologists in evaluating and understanding immunohematology lab tests and deciding on correct use of blood components. This course discusses the imperative need to understand the expectations and observe guidelines in dealing with daily transfusion medicine. In this course, presentors will discuss the latest information on blood group serology and molecular advancements, in addition to patient blood management with fact based utilization decisions. Lecturers will describe not only the use blood components, but also the safe and correct use of blood derived factors and Rh Immunoglobin for transfusion medicine. Vital problems and potential complications in blood component use will be discussed together with the present consensus recommendations for safe transfusion. The program provides contemporary knowledge and practical guidelines for pathologists dealing with transfusion medicine. Attendees will benefit from this course by comparing, reviewing, modifying, and improving their own practice and applying new information to their daily work. The Dermatology Board Review presents an educationally beneficial review of Dermatology and intense regimen that will prepare attendees for the Dermatology Board exam, maintenance of certification self-assessment questions, and recertifying exam. This course is intended to be a comprehensive review of probable topics that could appear on the exam. The course will focus on general dermatology subjects such as basic science, basement membrane biology, dermatological manifest of internal disease, hair and nail biology/disorders, skin cancer, pediatric dermatology, drug metabolism, and many more. Sections will be commited to reviewing both exam relevant procedural dermatology and dermatopathology. After completely viewing each lecture, attendees will be required to finish a five to 10 question quiz. Quiz questions will be multiple-choice or true-false and will include pictures derived from the PowerPoint presentation that are a part of the presentation. Once the participant passes the quiz by correctly answering 60% or more of the questions, the lecture is successfully completed. Upon conslusion of the lecture and passing the correlating quiz, learners will be given the opportunity to submit for continuing education credit. Participants will also be given surveys as a form of course evaluation in order to further evaluate any missing needs and continually improve this ongoing academic program. Summary: The Cytopathology: A Comprehensive Review program is developed to help prepare pathologists for participation in the American Board of Pathology and re-certification examinations. This course provides updated knowledge and practical guidelines for pathologists who deal with cytology specimens as well as summarizes the current consensus diagnostic terms and recommendations for pathological reporting. Dental Decks provides a convenient and fast way to study for both Part I and Part II of the National Board Dental Exams. Complement Dental Deck part 1, this contains an addition 1,300 flashcards to help review for the dental boards. Oakstone Primary Care Series - Clinical Update. A broad approach to key topics in dermatology with special focus on the fundamentals of dermatologic examination in the primary care setting. Ideal for MOC. The review is available via online streaming, DVD, audio MP3 CD, or a combination of online and audio MP3 CD. Conveniently earn up to 26 AMA PRA Category 1 Credits™ with Emergency Medicine – A Comprehensive Review. 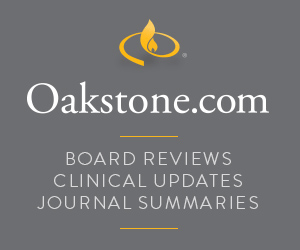 Oakstone Board Review. Prepare for pediatric dentistry boards and earn CDE credit with this essential review. Summary: UCSF Management of the Hospitalized Patient, chaired by Robert M. Wachter, MD, includes a talented faculty from UCSF and other renowned medical facilities, who will help you to better: Compete an evidence-based work-up for common inpatient clinical presentations, recognize hospital medicine issues, such as quality and safety concerns, challenging hospital infections, caring for elderly patients, and end-of-life care, and work with common inpatient clinical presentations, such as acute renal failure, COPD and asthma, sepsis, diabetes and arrhythmias. 2017-2018 Edition Prepare for the National Board Dental Hygiene Examination (NBDHE) with nearly 1,400 comprehensive flash cards. This helpful study resource provides questions, answers and topic reviews. Cleveland Clinic Specialty Review. Prepare for the ABIM board examination and earn CME credits with this in-depth endocrinology and metabolism review. Summary: This course is a convenient way to earn CME credit and stay on top of a field that requires strict regulatory compliance and adherence to ever-changing best practices. Topics in the lectures include, among others, Information Management, Laboratory Safety, and Licensure and Accreditation. This CME program is a wide-ranging review of PM&R from NYU. It includes case-based lectures on musculoskeletal disorders, neurogenic communication disorders, traumatic spinal cord injury, spasticity management, TBI, and many more topics. Prepare for the American Board of Physical Medicine and Rehabilitation certification and MOC exams. Describe an approach for the evaluation and management of athlete with concussions. Review the management of TBI, musculoskeletal disorders, spasticity, etc. NYU’s Head to Toe Imaging is available via DVD and online video. Conveniently earn up to 42.75 AMA PRA Category 1 Credits™ from the comfort of your home or office with Emergency Radiology. Conveniently earn up to 41.5 AMA PRA Category 1 Credits™ from the comfort of your home, car, or office with Oral and Maxillofacial Surgery – A Comprehensive and Contemporary Update. Board Review - Journal Summaries - $500 Amazon Gift Card ORDER NOW AND GET A $500 GIFT CARD! Use coupon code GCOM500. Only one coupon code or premium per order. U.S. residents only. Understand topics including dentoalveolar complications, complications in dental implants, anesthetic complications, maxillofacial trauma, TMJ surgery, cosmetic surgery, and more. Bring new information into your daily practice. Summary: Orthopaedic Surgery Board Review offers a comprehensive preparation for both the Part I and re-certification examinations administered by both the American Board of Orthopaedic Surgery and the American Osteopathic Board of Orthopedic Surgery. The course discusses all the major areas of the exam, including acute and chronic diseases of the musculoskeletal system in all age groups and diagnosis and management of congenital, inflammatory, developmental, and other conditions affecting the limbs and spine. The speakers in this program were chosen for both their clinical knowledge and ability as educators, to ensure that learners will receive a clear comprehension of the critical information presented. Discuss the most recent histopathological classifications of various gastrointestinal polyps and neoplasms currently recognized by the WHO in all areas of the gastrointestinal tract, including mesenchymal tumors. Recognize multiple forms of nonneoplastic injury to the gastrointestinal tract, including iatrogenic injury, disorders of malabsorption, inflammatory bowel disease, and infectious conditions including sexually transmitted disease-associated injury to the anorectal area. Decide what immunoreactions are most appropriate for validating the diagnosis of the main gastrointestinal tumors. Describe the main molecular genetic alterations, which occur in key gastrointestinal tumors, and how that knowledge would help to determine future target therapies. A clinically based update, this learn-at-your-own-pace course in procedural dermatology provides a maximum of 8.00 AMA PRA Category 1 Credits™. Available online or via audio MP3 CDs, it provides access to unbiased, evidence-based content and case-based reviews so you can expand your knowledge and incorporate the latest guidelines into your daily practice. Summary: The target of The Brigham Board Review in Endocrinology is to improve comprehensive knowledge and clinical competence-based practice gaps in Endocrine Diseases (linked and/or derived from ABIM certification/recertification requirements). Significant topics are presented in board review/case-based practice sessions via multimedia formats. Attendees will apply the knowledge and strategies obtained through participation in this activity to the Board exam and day-to-day practice. A comprehensive review of GI and liver clinical topics and pathophysiology designed for the GI subspecialty board exam. Summary: The Brigham Board Review in Hematology was developed to provide Hematology fellows/trainees, Hematologists/Oncologists, and internists with contemporary knowledge and management strategies in order to better care for their patients, in addition to helping to prepare candidates for the ABIM exam in Hematology. Summary: The Brigham Update In Hospital Medicine was developed for community and academic hospitalist physicians, physician assistants, and nurse practitioners. Summary: Thoracic Imaging will feature internationally recognized experts on the subjects of imaging of the heart, lungs, thoracic vasculature and mediastinum. Summary: The UCSF Abdominal & Pelvic Imaging: CT/MR/US activity’s main objective is to enhance the interpretation of body imaging studies and to develop clinical practice, by offering an updated review of state-of-the-art imaging methods and evidence-based practice in CT, MR and US imaging of the gastrointestinal and genitourinary systems. In addition, the corresponding ACR guidelines on managing incidental findings in the kidney, adrenal, liver and pancreas on CT scans will be discussed. Summary: The Cardiovascular & Pulmonary Imaging program is an in-depth review of cross-sectional imaging of the chest, covering the vascular, pulmonary and cardiac systems. This course is useful as a review of thoracic imaging, as well as a guide for radiologists seeking to expand their practice to new areas. The course provides an update on a variety of fundamental clinical applications, but also touches on modern, cutting-edge technologies such as cardiac CT. A practical approach to these areas of evolving technology is presented so as to be useful to radiologists from all areas of clinical practice. Summary: UCSF Musculoskeletal MR Imaging course presents a comprehensive modern update on different aspects of musculoskeletal MRI. Evaluation of cartilage lesions, including the newest available sequences is showcased. A comprehensive summary of bone and soft-tissue tumors is given with a differential diagnosis for these indications. Several discussions include optimized protocols for 1.5T and 3T MR imaging units plus pertinent anatomy and pathology are reviewed for each joint. Practical information is applied to bone marrow, muscle and tendon disorders, and nerve entrapment. This course targets diagnostic radiologists, orthopedic surgeons, sports medicine physicians, and MRI technologists with some basic or intermediate knowledge of musculoskeletal MRI who seek to increase their knowledge to a more advanced level. Summary: UCSF Neuro & Musculoskeletal Imaging will provide the clinician with an update on differing fundamentals of Neuro and Musculoskeletal imaging. This course will include an emphasis on CT and MR, in addition to other methods to improve imaging quality. The latest information on modern advances in neuro CT/MRI protocols and advanced MRI techniques will be discussed, in order to improve differential diagnosis of the adult and pediatric brain, head & neck, spine and spinal cord lesions and musculoskeletal system. Summary: UCSF Radiology Review: Comprehensive Imaging is developed to represent the breadth and depth of experience from all UCSF Radiology’s subspecialty sections, with discussions by faculty who are known for their clinical knowledge and dedication to teaching. This review course will cover the basics of the major organ systems and corresponding imaging modalities. Importance will be placed on providing a step-by-step process for obtaining a differential diagnosis. Lecture content will focus on comparative analysis and key factors that advocate accurate diagnosis by the radiologist in clinical practice. Formal didactic lectures will be combined with unknown case review sessions, in order to give the attendee a comprehensive review of radiology fundamentals and terminology, as well as experience to a cross-section of topical and clinically relevant interesting cases. Summary: UCSF Radiology: Interventional Review is designed to be a comprehensive review of both basic vascular and non-vascular interventional radiologic procedures, as well as emerging areas of interventional radiologic practice. The review will cover all common interventional radiologic procedures and will focus on indications, pre-procedural assessment, technical aspects of the procedure, as well as post-procedural follow-up. The course should be suitable for radiologists actively practicing interventional radiology, and newly qualified interventional radiologists wanting to compare their knowledge and training with UCSF experts. The course is focused primarily on body IR, rather than neuroradiological interventions. This course will also cover interventions used to alleviate common OB/GYN conditions. Conveniently earn up to 11 AMA PRA Category 1 Credits™ from the comfort of your home or office with UCSF Women’s OB/GYN Imaging.